“Measles hemagglutinin-inhibiting and neutralizing antibody titers are lower in women young enough to have been immunized by vaccination than in older women. 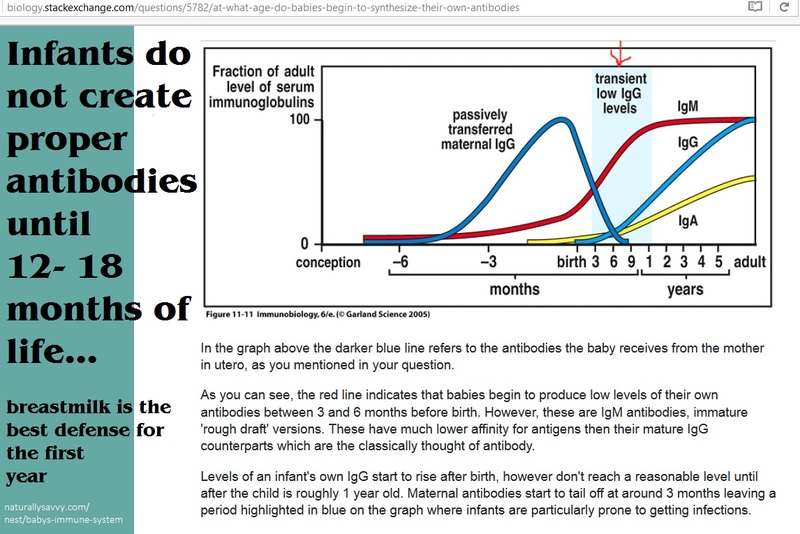 In the children of both young and older mothers the antibody is concentrated 1.7-fold across the placenta, and the child’s initial titer remains proportional to that of its mother. The transferred antibody is diluted by the baby’s growth and degraded with a mean half-life of 48 days. By 8 1/2 months of age, 95% of the children of the mothers born since 1963 would have become susceptible to measles and responsive to immunization; the same level of susceptibility is not reached by children of mothers born before 1958 until 11 1/2 months of age. Among the offspring of younger mothers, a small group remains, about 2% of the total, with titers high enough to provide protection for 12 months, and these children would be poorly served if the age for vaccination were reduced for all.